Let's be honest. 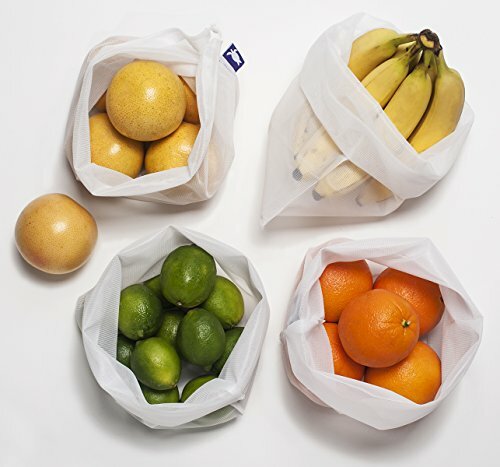 Those one-time use plastic produce bags at the grocery store are flimsy, hard to open and just plain wasteful. And a LOT of them end up floating, blowing, and flying around the environment. There's a solution. Reusable bags. Here's what you get when you purchase Zestilife bags - strong, durable and reusable bags that will last. 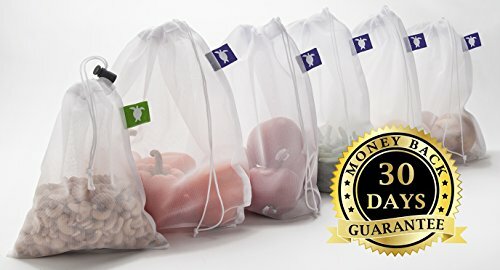 No ripping, no tearing, no poking through the mesh see-through material that holds up to 10 pounds of fruits and veggies per bag. 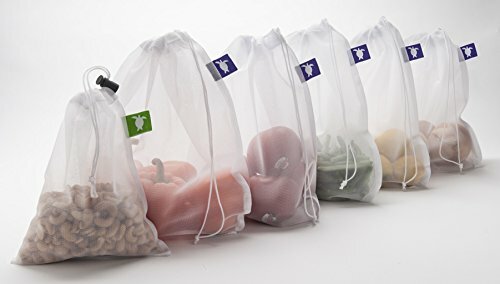 You can use the small bag to store the 5 large bags. Just stuff 'em in there like you would a sleeping bag in a stuff sack. They don't mind being all jumbled together and wrinkled. In fact they kind of like it. It's like produce bag Twister. And it keeps them busy while waiting for the next ride in the car to the grocery store. And the small bag is perfect for bulk items like nuts. It has a cord lock on the drawstring to keep it tightly cinched. We don't want you to spill your nuts. This cord lock is PLASTIC. The large bags don't have cord locks. That would mean MORE plastic. .
We're trying to reduce plastic not add more. And all those cord locks can get tangled in the rungs of your grocery cart. And not in a good way. We know. We tried it. 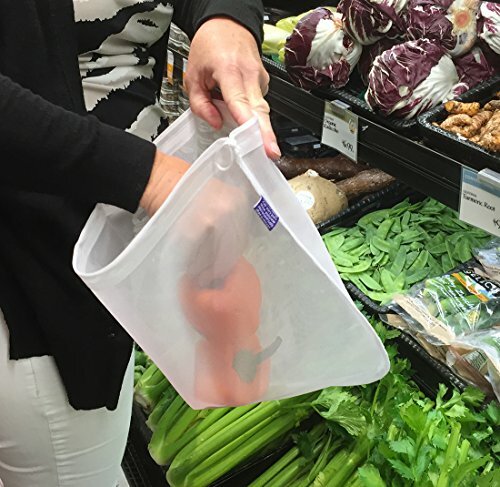 So if you're concerned that your produce will spill out in your cart without cord locks, just tie a loop around the top of the bag with the drawstring. It works! No need to add extra plastic to our environment with unnecessary cord locks. So start reducing your plastic bag waste today. A portion of profits form your purchase goes to sea turtle rescue organizations. Sea turtles often mistake floating plastic for one of their favorite foods - the jellyfish. Eating plastic kills sea turtles so please help keep plastic out of our oceans. The sea turtles will thank you. Buy now with a 100% money back guarantee. Thank you.